Not surprisingly perhaps, during the low-volume summer doldrums, the performance of shares in August is very similar to that in July. The average return for the stock market in the month is 0.8%, which makes August the fifth strongest month in the year; although since 2000 the average return has fallen to 0.3%. The probability of a positive return in August is 61%. It should be noted that there have been some nasty surprises in August, with large falls of over 7% in 1998 and 2011. 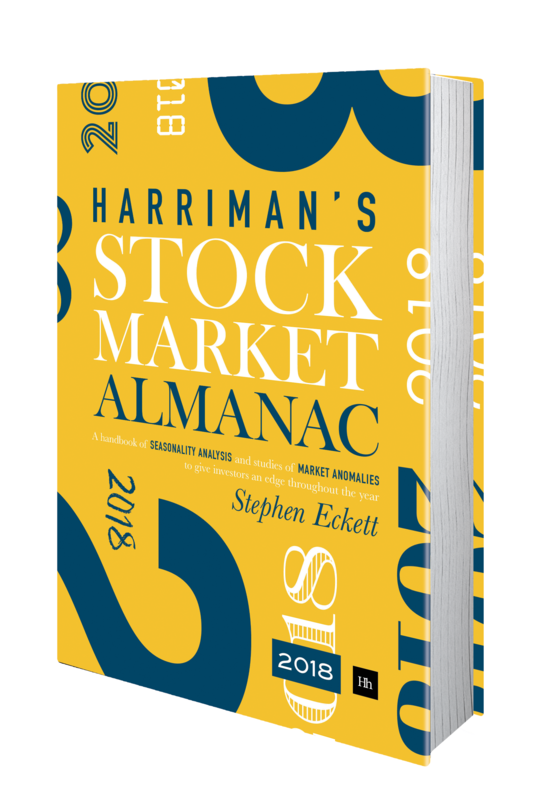 But generally the volatility of stock returns for August is around the median for all months – certainly significantly below the high-volatility months of January, September and October. In an average month for August the market tends to drift lower for the first couple of weeks and then increase for the final two weeks of the month. The final trading day of the month has historically been strong. An interesting characteristic of August is that it is the strongest month for the FTSE 100 Index relative to the S&P500 Index – the former has out-performed the latter by an average of 0.7 percentage points this month. 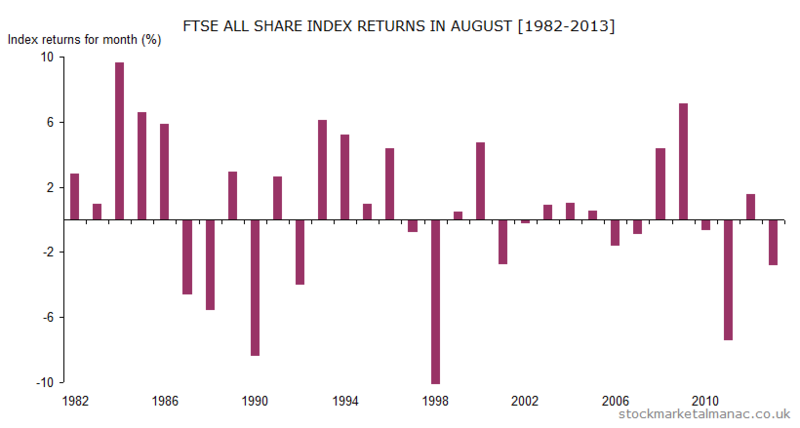 In the 29 years since the start of the FTSE 100 Index, it has out-performed the US index in August in 18 years. At the stock level, the five strongest FTSE 350 companies in August have recently been Fisher (James) & Sons [FSJ], Keller Group [KLR], Bunzl [BNZL], Centrica [CNA] and Tesco [TSCO]. Fisher (James) is the only FTSE 350 company whose shares have risen every August in the past ten years; the other four shares have all risen in nine of the past ten years in August. Three weak August stocks are Pennon Group [PNN], Rio Tinto [RIO] and Investec [INVP]. August is the busiest month for FTSE 100 and FTSE 250 interim results announcements: 40 FTSE 100 companies and 87 FTSE 250 companies announce their interims this months. So, not a good month for analysts to take a holiday.